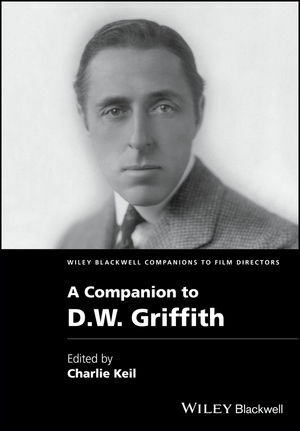 A Companion to D.W. Griffith offers an exhaustive look at the first acknowledged auteur of the cinema and provides an authoritative account of the director’s life, work, and lasting filmic legacy. The text explores how Griffith’s style and status advanced along with cinema’s own development during the years when narrative became the dominant mode, when the short gave way to the feature, and when film became the pre-eminent form of mass entertainment. Griffith was at the centre of each of these changes: though a contested figure, he remains vital to any understanding of how cinema moved from nickelodeon fixture to a national pastime, playing a significant role in the cultural ethos of America. With the renewed interest in Griffith’s contributions to the film industry, A Companion to D.W. Griffith offers a scholarly look at a career that spanned more than 25 years. The editor, a leading scholar on D.W. Griffith, and the expert contributors collectively offer a unique account of one of the monumental figures in film studies. Charlie Keil is the Principal of Innis College, and is also a Professor at the Cinema Studies Institute and History Department at the University of Toronto. He has published six books, many focusing on aspects of silent cinema. He is an editorial board member of Cinema Journal, Canadian Journal of Film Studies, and Film Quarterly.